These sketches from the year 2000 are an object lesson in using archival quality materials. While the pencils I used were artist quality charcoal pencils, the paper was not artist quality. Thus, while it started out as bright white it has since been altered by mere exposure to household air. Had they been preserved under glass in a sealed environment, they might have been less altered. 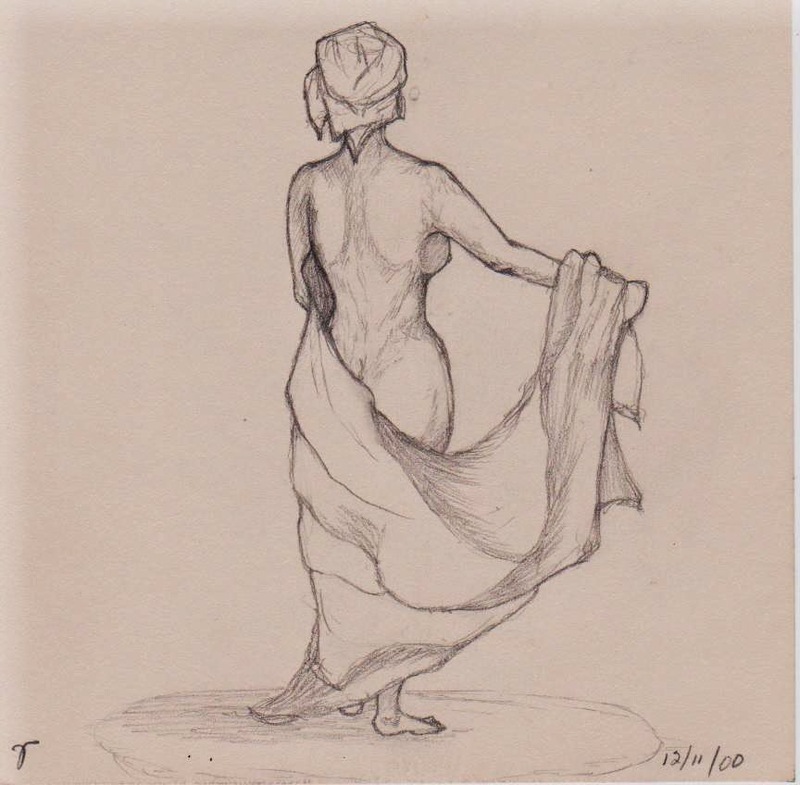 Still, they are representative of good pencil work, but poor composition. 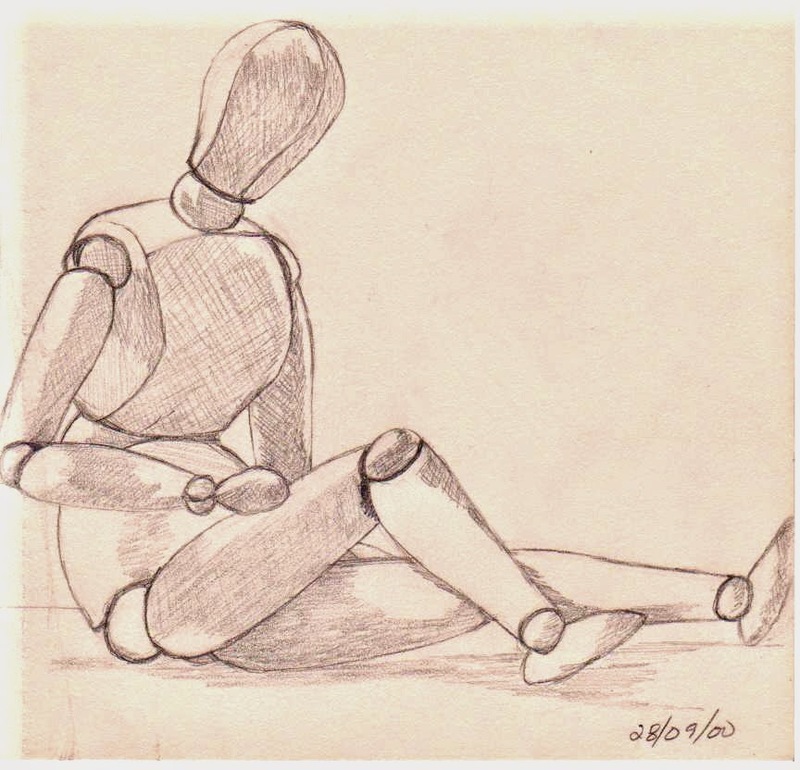 The drawings should have been a little smaller so as not to fall off the paper the way the hand and the mannequin do. 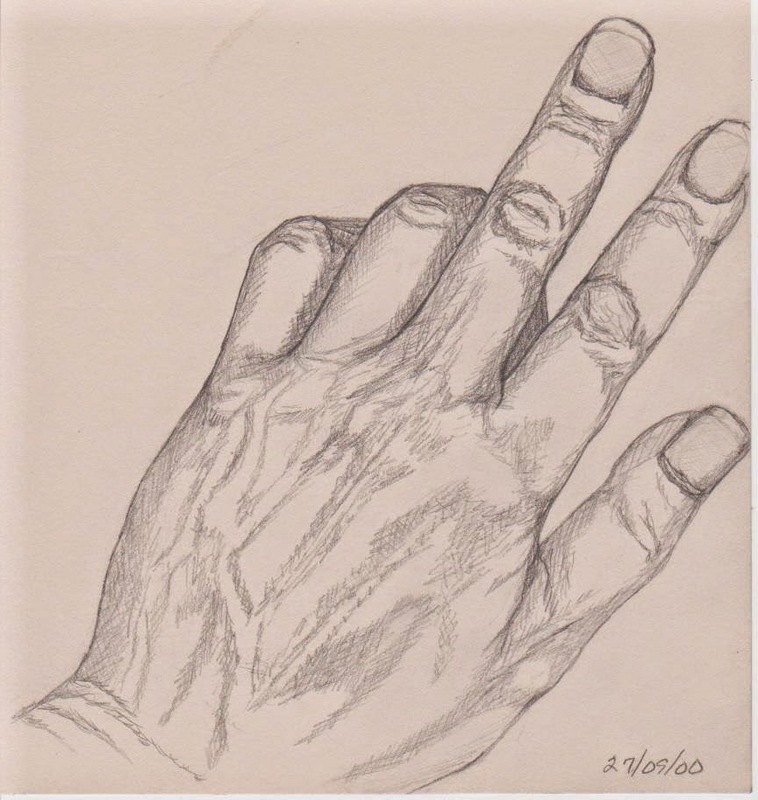 The hand is mine own -- proof that an artist will draw anything to "hand" (bad pun, I know) when at a loss for a subject.